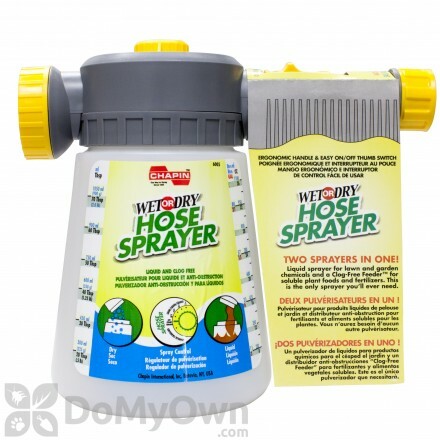 Hose-end sprayers make it easy for even the most clueless gardener to apply herbicides. 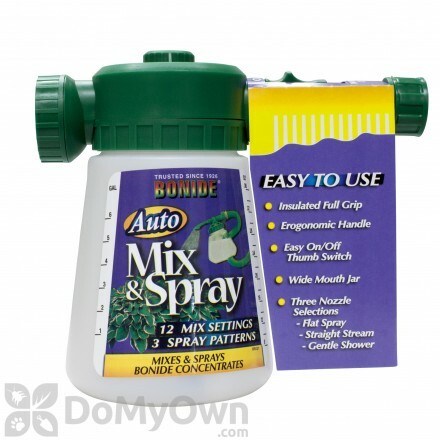 Simply add your lawn care product into the sprayer, attach to a hose, and spray. Liquids and water soluable granulars can both be used in hose-end sprayers, giving you flexibility and professional grade results. Two sprayers in one, a liquid sprayer for lawn & garden and a clog free feeder for soluble plant foods and fertilizers. A hose-end sprayer to apply liquid concentrates easier for residential lawn and gardens. 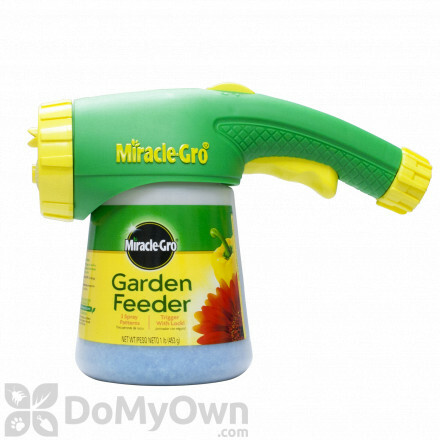 Miracle-Gro Garden Feeder provides improved features and performance that include a new easy to grip handle, three spray patterns, and trigger with lock for easy one hand use. 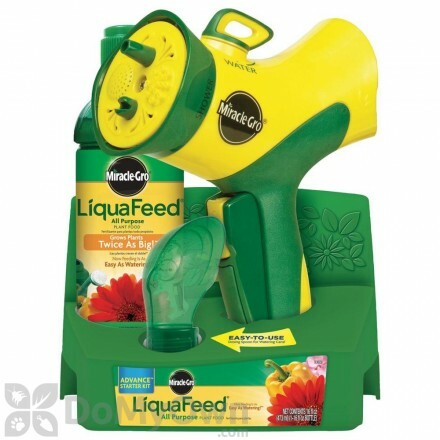 A starter kit with an easy-to-use feeder and fertilizer for effortless feeding and watering of garden plants and vegetables. 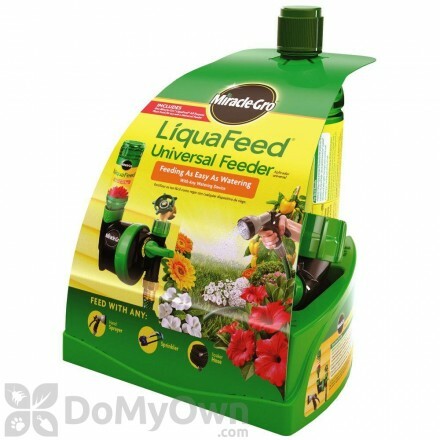 Liquafeed Universal Feeder is designed to help make feeding the plants as easily as watering them. 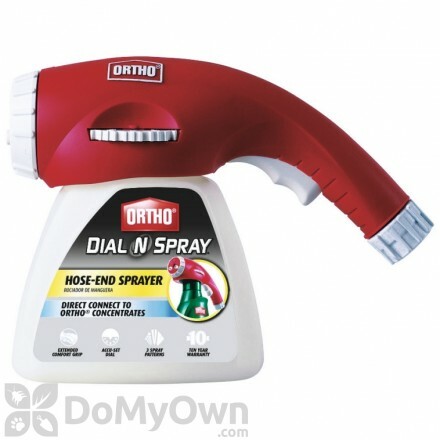 An excellent hose end sprayer that offers three different spray patterns and easily attaches to containers for easier application of chemicals.